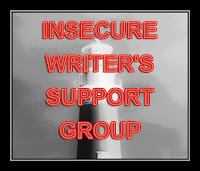 Even though it's the second Wednesday of the month, it's time for another Insecure Writer's Support Group meeting. IWSG was created by the awesome ninja captain Alex J. Cavanaugh, and you can find out the other members of the group here. I still can't believe how fast 2013 left us, but here's to a new year and many new goals! Write Reigned, a prequel novel to The Fate Challenges trilogy (YA Epic Fantasy). Write Reforged, Book Two of The Fate Challenges (YA Epic Fantasy). Write part of Redestined, Book Three of The Fate Challenges (YA Epic Fantasy). Write Loveless, Book One of Less Than Princess Perfect (NA Epic Fantasy). What are your 2014 goals? Does a new year bring new insecurities? I also have my totals for 2013. I wrote 185,912 words and edited 2767 pages. This post is also brought to you by Indie Life. What is Indie Life? How: Sign up on the Linky at the bottom of this page here. When: Post on the second Wednesday of the month. What: Write anything indie related: something that will inspire or help a fellow indie; something that celebrates a release or a milestone; something that talks about the ups and downs, joys and heartaches of Being Indie. Grab: The banner above to include in your posts! And sign up for the Indie Life newsletter here. The lovely and talented Emilyann Girdner has interviewed on her blog today! Read what I think about having my writing critiqued as well as what I think is the funniest thing ever imagined. Be sure to stop by tomorrow (Thursday). Alana Garrigues has a special post about Story Sprouts and inviting the whimsical into your story. Those are great goals and nice word count. Good luck with it. Starting off the year with goals is awesome. And I'm in awe of all those projects. Awesome goals! I'm hoping to write 3 books this year, but I'm not decided on which yet (depends on my schedule/editing other books). Good luck! Like Alex I too am in awe of all your writing projects. Your writing goals motivate me to make my own goals. Yeah, I'm in total awe too. My goal is to just write regularly this year. Good luck with your goals for this year! I wrote at least 500,000 words last year, though to me, that's more like a typical other writer's 100,000 or so. I'm the same person who wrote 397K in three months, 406K in five months, and didn't think that were a big deal or difficult, so my perspective is going to be rather different! I have two stand alone novellas outlines that I want to finish. Then its back to another full length Chase Manhattan adventure. Oh, and good luck to you and your upcoming releases! Good luck with your goals for this year! What a way to combine both!! :) Those are terrific goals! I'm usually writing while publishing last year's writing too! Good luck! And people have been calling me a writing machine. You win! :D I believe you know my goals and the reality is setting in that I may not leave the house until the observatory opens end of may. That could be true. You should be so proud of yourself for not only what you accomplished this year, but your ambitious (and do-able) goals for 2014. You will rock it out!! Great goals. Here's to achieving them and enjoying the time you spend doing it. Happy 2014. Those are fantastic goals! You can do it. I want to revise and query my two novels this year. I wish I could say publish, but we'll have to see how the querying goes first! Happy New Year! I hope you accomplish your goals for this year. 4 books is a lot of writing in one year. I'm envious of your 2013 total word count, well done. Excellent goals as always :) good luck! Holy cow that's a lot of words written! I'm excited to see all of the Foxwick stories come together. Good luck with the new year! All the best with attaining your goals this year, Cherie! You certainly had a very successful and busy writing year in 2013! Happy New Year, Cherie! I can't believe 2013 is already gone, either. Your word count and editing total for the year are both so, so impressive. Good luck writing/editing just as much in 2014, if not more so! That's a busy year ahead. Wishing you all the best with it! You have a very busy 2014 ahead of you. My goals are few. I want to revise a couple of rough drafts and begin querying. These are all fantastic. I'm sure you'll do well on your goals. I want to effectively market two of my books that are being released this year and I hope to finish two drafts. Love your goals! You are amazing!!! And I'm excited about more Foxwick! Wow, you get a lot of comments on your blog! these are great goals for the new year. You should definitely write a NA story. Those are hot right now and you'd be good at it!